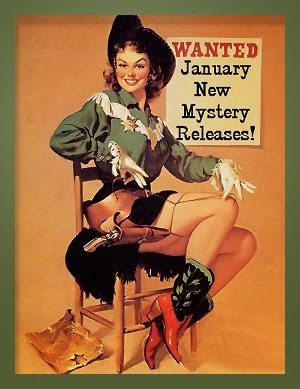 January 2014 New Mystery Releases! How many of you have gift cards burning holes in your pockets, wallets, or on your desks? 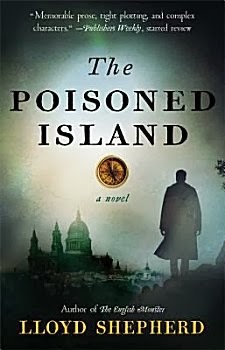 I have to admit that I have one burning a hole in my inbox, so perhaps I can help us all make our book-buying decisions by listing my crime fiction picks for new January releases. All the books I've chosen are grouped by their release dates, and I've included all the information you'll need to find them at all your favorite book procurement sites. All book synopses are courtesy of Amazon because it's one of my favorite places to do a little showrooming. 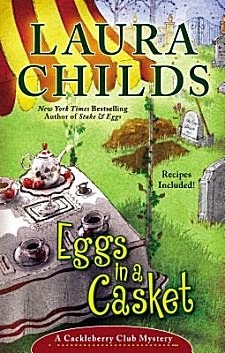 Synopsis: "While Petra handles the breakfast rush at the Cackleberry Club, the café’s other two owners, Suzanne and Toni, head to Memorial Cemetery to help prepare for its 150th anniversary celebration. But as they search the winding paths for the historical society tent, they discover something else out of place: the body of ex-prison warden Lester Drummond lying facedown in someone else’s freshly dug grave. As the case cracks open, there are plenty of suspects to consider—from recent parolees to Missy herself, who Suzanne and Toni saw speeding away just before they found the body. Now, with a cemetery celebration in the offing, and the local authorities in over their heads, it’s up to the Cackleberry Club to unscramble the clues and clear their friend’s name." 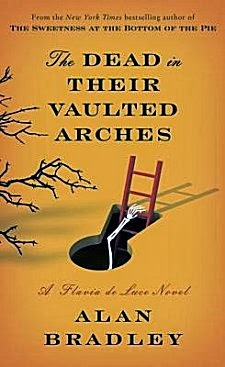 Residents of Keyhole Bay, Florida, are dismayed when Bridget McKenna, an auditor in chic attire, arrives to assess the local bank’s shady dealings. Curious about the new arrival, Glory brings dinner to Bridget at her temporary residence—the notorious Bayvue Estates, a halted development complex with no view and no estates – just a couple of hastily-completed model homes . Bridget’s assignment is to figure out where all the money went. But someone wants to keep her in the dark permanently. When Glory finds out her new friend won’t be leaving town alive, she knows she and Bluebeard will have to catch a killer and unravel a financial scandal before it leads to more murderous mayhem…"
Synopsis: "Detective Inspector Irene Huss hasn’t seen Sophie Malmborg for over fifteen years, but she’s still haunted by the strange young ballerina’s role in the fire that killed her stepfather. Why had she refused to speak to Irene and the other case workers? Could an eleven-year-old—even one as disturbed and aloof as Sophie—truly capable of setting her own house on fire? 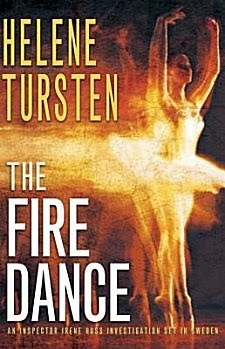 Irene’s questions resurface fifteen years later, when Sophie disappears, and the charred remains of a dancer are found in an abandoned warehouse. Irene has a startling realization that could shed light on the case that has been lingering in the back of her mind since the beginning of her career." 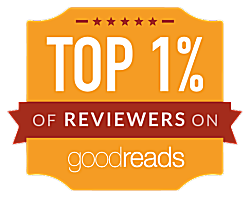 #2 in the cozy Weaving Mysteries series set in the Blue Ridge Mountains of North Carolina. Synopsis: "Della Wright can’t believe her luck when celebrity designer Bunny Boyd walks into her weaving studio in small-town Briar’s Hollow, North Carolina, with a large custom fabric order. Bunny needs materials for her latest design project: Bernard Whitby’s mansion. 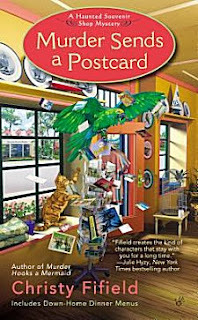 Bernard is Briar Hollow’s resident millionaire, and Della soon discovers that Bunny has designs on the man as well as his house. And he’s happy to have a celebrity at his side when he announces his candidacy for governor. But the buzz surrounding Bernard’s announcement is quickly overshadowed by the murder of a local coffee shop owner. 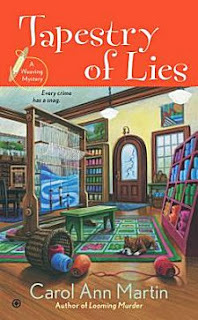 When her good friend Jenny becomes one of the suspects, Della decides to unravel the mystery. But she’ll have to work fast—before she gets tangled in a killer’s clutches." Synopsis: "As a volunteer for Timber Creek Search and Rescue, missing out on holiday festivities is nothing new to Gracie. After all, disasters don’t stop happening because of a cooked turkey. So when Gracie is called out on Thanksgiving for four hikers missing in the wilderness of Southern California, she packs up her gear and heads out to find them. 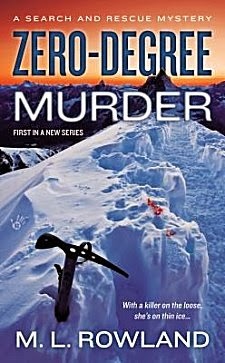 Alone in the mountains, Gracie will have to use all her expertise to keep Rob alive. But with an unknown killer lurking somewhere in the dark, even that might not be enough to save them…"
Synopsis: "When NYPD Red arrives at a crime scene, everyone takes notice. 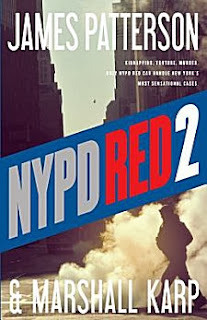 Known as the protectors of the rich, famous, and connected, NYPD Red is the elite task force called in only for New York City's most high-profile crimes. And Detective Zach Jordan is the best of the best, a brilliant and relentless pursuer of justice. He puts professionalism above all, ignoring his feelings for his partner, Detective Kylie McDonald, the woman who broke his heart when they first met in the academy. The victim, a woman of vast wealth and even greater connections, is the fourth in a string of shocking murders that have hit the city. As the public pressure mounts, and political and personal secrets of the highest order hang in the balance, Zach and Kylie must find out what's really behind the murderer's rampage. But Kylie has been acting strange recently--and Zach knows whatever she's hiding could threaten the biggest case of their careers." Synopsis: "On a spring morning in 1951, eleven-year-old chemist and aspiring detective Flavia de Luce gathers with her family at the railway station, awaiting the return of her long-lost mother, Harriet. Yet upon the train’s arrival in the English village of Bishop’s Lacey, Flavia is approached by a tall stranger who whispers a cryptic message into her ear. Moments later, he is dead, mysteriously pushed under the train by someone in the crowd. Who was this man, what did his words mean, and why were they intended for Flavia? 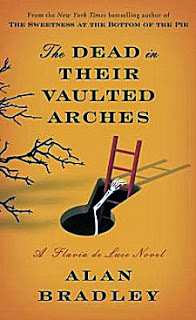 Back home at Buckshaw, the de Luces’ crumbling estate, Flavia puts her sleuthing skills to the test. Following a trail of clues sparked by the discovery of a reel of film stashed away in the attic, she unravels the deepest secrets of the de Luce clan, involving none other than Winston Churchill himself. Surrounded by family, friends, and a famous pathologist from the Home Office—and making spectacular use of Harriet’s beloved Gipsy Moth plane, Blithe Spirit—Flavia will do anything, even take to the skies, to land a killer." Synopsis: "Tahiti 1769. English sailors arrive on the shores of the Polynesian paradise— a place of staggering beauty where magic and ancient myths still hold sway. But they soon devastate the island with disease, war, and death, planting deadly seeds that will be carried back to England forty years later. London 1812. On a gray June morning, the Solander docks, her hold containing hundreds of exotic plants from Tahiti for the King’s Gardens at Kew. The apparently successful expedition soon takes a horrifying— and inexplicable—turn: The crew of the Solander starts dying one by one. Thames River Police Chief Charles Horton can find no signs of murder or suicide to explain the deaths, and the ship’s surviving crew seems intent on hampering his investigation. When one of the plants begins to show frightening changes, it is up to Charles Horton to determine how it might be stopped." 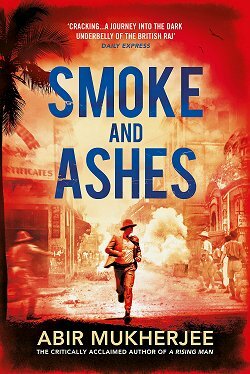 Synopsis: "A heart-stopping crime thriller from the author of three consecutive No. 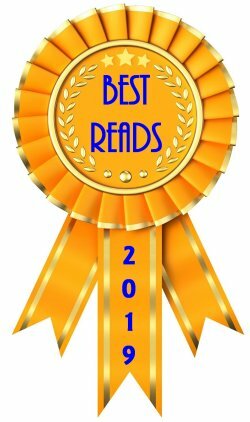 1 bestsellers, including Birthdays for the Dead and the DI Logan McRae series. He's back...Eight years ago, 'The Inside Man' murdered four women and left three more in critical condition - all of them with their stomachs slit open and a plastic doll stitched inside. And then the killer just ...disappeared. Ash Henderson was a Detective Inspector on the initial investigation, but a lot can change in eight years. His family has been destroyed, his career is in tatters, and one of Oldcastle's most vicious criminals is making sure he spends the rest of his life in prison. Now a nurse has turned up dead on a patch of waste ground, a plastic doll buried beneath her skin, and it looks as if Ash might finally get a shot at redemption. At earning his freedom. At revenge." Synopsis: "On a hot June day, the body of a sixteen-year-old girl washes up on a riverbank outside of Frankfurt. She has been brutally murdered and shows signs of long-term abuse, but no one comes forward with any information as to her identity. Even weeks later, the local police have not been able to find out who she is. Then a new case comes in: A popular television host is attacked, raped, and locked in the trunk of her own car. 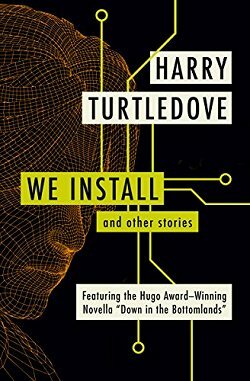 She survives, barely, and is able to supply only vague hints to the police, having to do with her recent investigations into an organization whose members are from the highest echelons of society, and the potential uncovering of a shocking history they’d prefer to keep from the public eye. As the two cases collide, Inspectors Pia Kirchhoff and Oliver von Bodenstein dig deep into the past and underneath the veneer of bourgeois society to come up against a terrible secret that is about to impact their personal lives as well. 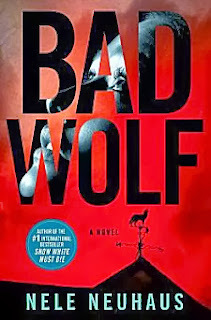 It is almost too late for a person very close to Pia before she and Oliver finally track down the big bad wolf. . . ."
Synopsis: "The Awana tribe, who live in the remote Amazon jungle in the Brazilian state of Pará, have dwindled to only 41 members—and now 39 of them have dropped dead of what looks like poison. The neighboring white townsfolk don’t seem to be mourning the genocide much—in fact, the only person who seems to care at all is Jade Calmon, the official tribal relations agent assigned to the area. She wants justice for the two survivors, a father and his 8-year-old son. But racism is deeply entrenched and no one is going to help her get to the truth. Unfortunately, this is far from the first time the Brazilian federal police have had a tribal genocide to investigate. Chief Inspector Mario Silva and his team are sent in from Brasilia to try to solve the increasingly complex case just as a local white man is discovered murdered. Someone has done their best to frame the surviving Awana man, and the town is about to erupt." 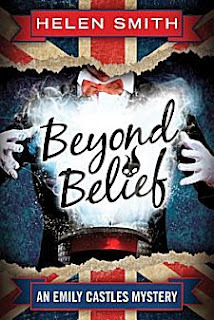 Synopsis: "When famed psychic Perspicacious Peg predicts a murder will occur at England’s Belief and Beyond conference, her science-minded colleagues recruit twenty-six-year-old budding sleuth Emily Castles to attend the event as a “future crimes investigator.” The suspected victim: celebrated magician Edmund Zenon, who plans to perform a daring stunt at the conference—and is offering fifty thousand pounds to any attendee who can prove that the paranormal exists. In the seaside town of Torquay, Emily meets a colorful cast of characters: dramatic fortune-teller Madame Nova; kindly Bobby Blue Suit and his three psychic dachshunds; Sarah and Tim Taylor, devastated parents mourning their late son; and religious cult members Hilary, Trina, and the Colonel. Tensions rise as believers in science, the supernatural, and the spiritual clash with one another. But once a body count begins, Emily must excuse herself from the séances and positivity circles, and use old-fashioned detective work to find the killer." Lots of good books being released in January. Which ones will you add to your reading lists? 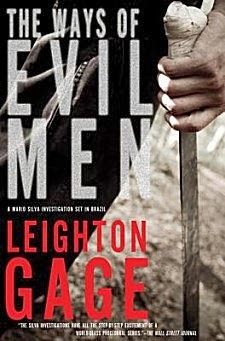 As for me, I have to admit that I almost don't want to read The Ways of Evil Men. I have loved Leighton Gage's series since the very first book, and it saddens me to know that there will be no more. Cathy - Oh, that's right - the new Tursten's coming out! And a new Alan Bradley?! Yeah, I'm going to be a busy reader.. Yes, it's the dreaded "P.O.O.O." syndrome-- Printed Out of Order. I don't know what's in publishers' minds at times!